Google Drive is one of the best free file sharing sites that allows you to share any files instantly. You can upload any kind of file, ranging from documents, spreadsheets, PDFs, photos, videos, etc. and send the shared link to the receiver. This online file sharing tool offers users free 15GB space which can be upgraded later with a nominal fee. 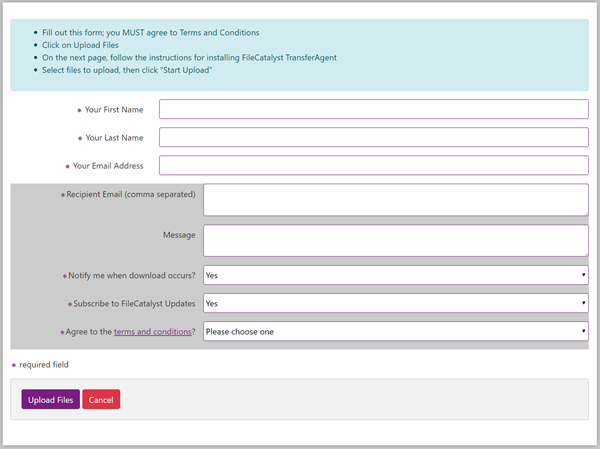 The uploaded content is shareable with anyone by inputting the recipient’s email address and the access link will be delivered to their email address. Shares high-quality photos and large documents with anyone and they’ll be able to access them anytime. Allows users to edit, modify, and control permission of the files by making them public or private. FireFox Send is another free file sharing website launched by Mozilla Firefox. 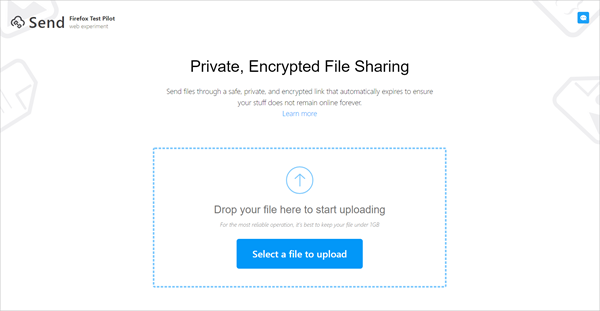 It lets you upload and send large files up to 1GB through a safe, private and encrypted link. Each link created by Send will automatically expire after 1 download or 24 hours, and all files uploaded will be automatically deleted from the server. Does not require an add-on or registering an account, and can be used in many modern browser. Supports uploading files via dragging and dropping. User can enable password-protected downloading and set downloading times of files on sharing page, which fully guarantees security and privacy of files. PlusTransfer is one of the simplest file sharing tools to share large files free online. It does not need any registration or user account for file transfer. All you need to do is open the online uploader and click the big + button, select a file, and enter the email addresses then hit send. The service is 100% free and you can send up to 5GB data for free. Simple and interactive interface makes it easier to share large files, no technical knowledge needed. SendThisFile is another popular online file sharing method of sending and receiving large files to and from anyone, anywhere. This web based platform makes it easier to send large files securely with a share link and an email plugin. It is free to share files to your friends or family, but the file size is limited to 2GB. Uses 128-bit encryption for secure file sharing online. There is no need to install any application to use this online file sharing tool. Ge.tt is another simple online file sharing method to share files without signing up for a account. This tool makes file sharing very easy, you can simply drag and drop file onto this platform. And you can even upload multiple files at one time. You can get 2GB free storage space by signing up. If you activate the premium account, you will get much more storage space and file size capability. Provides you the option to share the uploaded file directly on Facebook, Twitter, Google+ and other social networks. Protects your privacy, the uploaded files will get deleted automatically in 30 days. The realtime tallying function helps the sharer to find out how many people downloaded the shared file. Files2U is one of the best web service that can solve your online file sharing needs without worry about the restrictions of email or slowdowns of FTP. 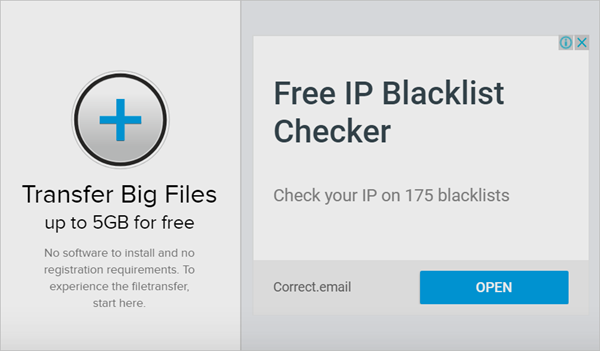 This web uploader has a straightforward interface to help you share large files with others. 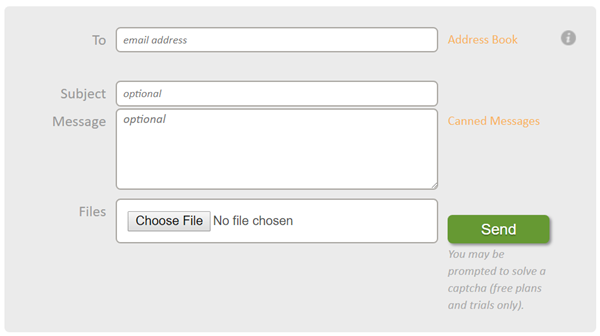 Just enter a couple of email addresses, your name, select the files you want to share, and hit the upload button. No registration required to use this online file sharing service. Secures the shared file by sending a pin number to the recipient which can be used to unlock the file. Zippyshare is a free file sharing website that allows you to share large files up to 500MB. You can select files or directly drag & drop your files for uploading and sharing. Then the uploaded files can be easily share with a link via email, message, social media, websites, forums or any other media as you like. 100% free to use and contains no download restrictions. Offers unlimited disk space and doesn’t require signing up or installing software. Gives you the option to upload files in private mode in case you do not want it to be visible to all. 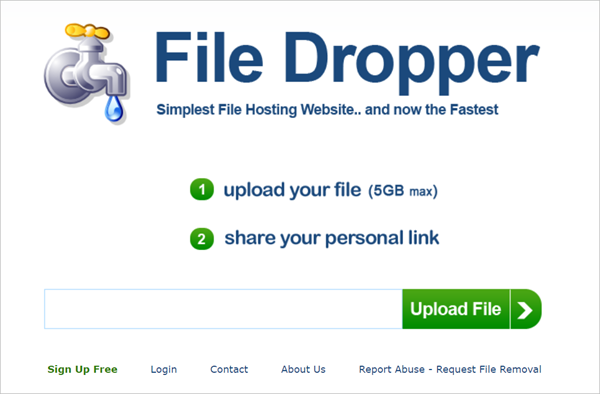 File Dropper is one of the simplest and most convenient free file sharing tools currently on the market. This web uploader comes with clean interface. You just need to upload the file you want to share, click on the share link and the work is done. It allows you to upload any file type of up to 5GB and stores your files as long as they are being downloaded. Provides you an embed code to share the uploaded file on websites and forums. The premium plan of File Dropper even offers you up to 250GB storage space. So, here is the list of top 8 best free online file sharing websites and tools that helps you share large files instantly. Note that the speed of file sharing solely depends on the internet speed of yours and the one who is receiving. Still looking for a way to send your huge files? Go use these services to take advantage of hassle free file sharing. If you find this article helpful, don’t forget to share it with your friends and family. If you know any other free file sharing site, just write it down in the comments section below.